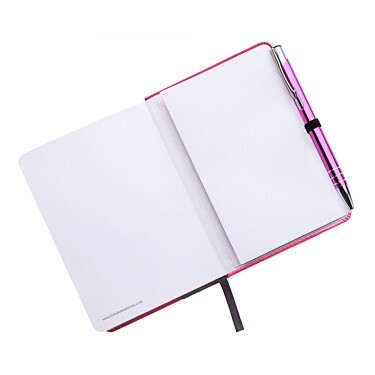 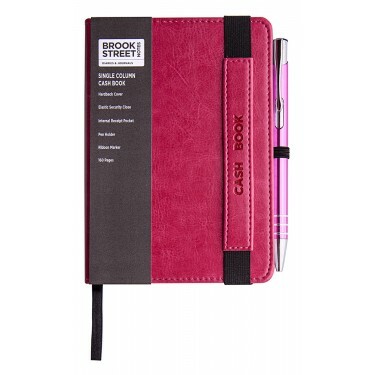 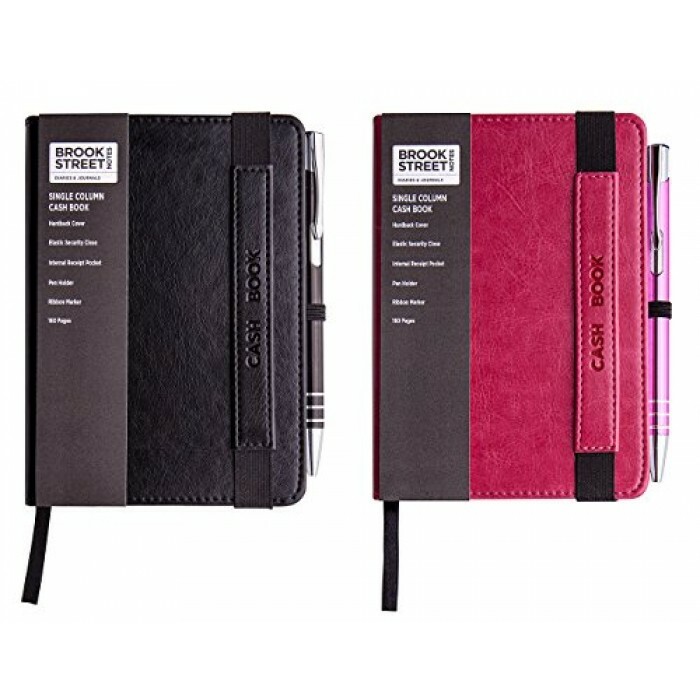 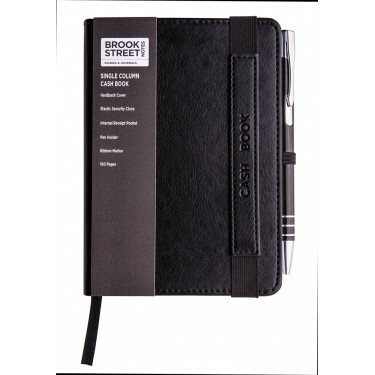 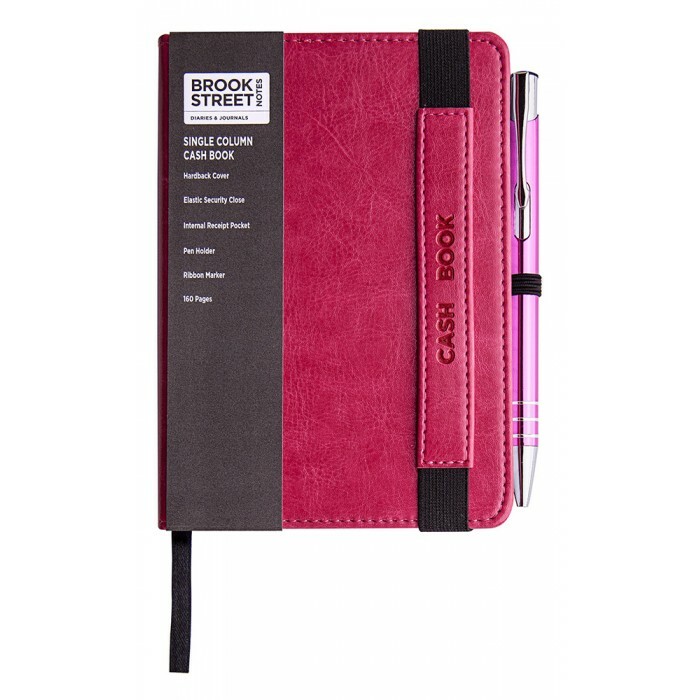 Single column cash book with durable high quality PU leather hardback cover with saddle stitching around the cover edges. 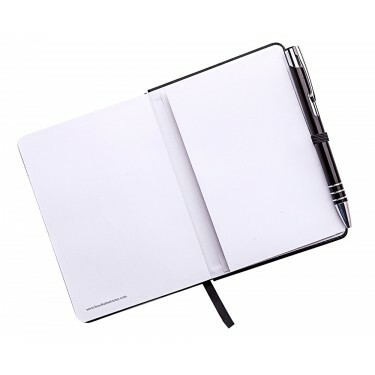 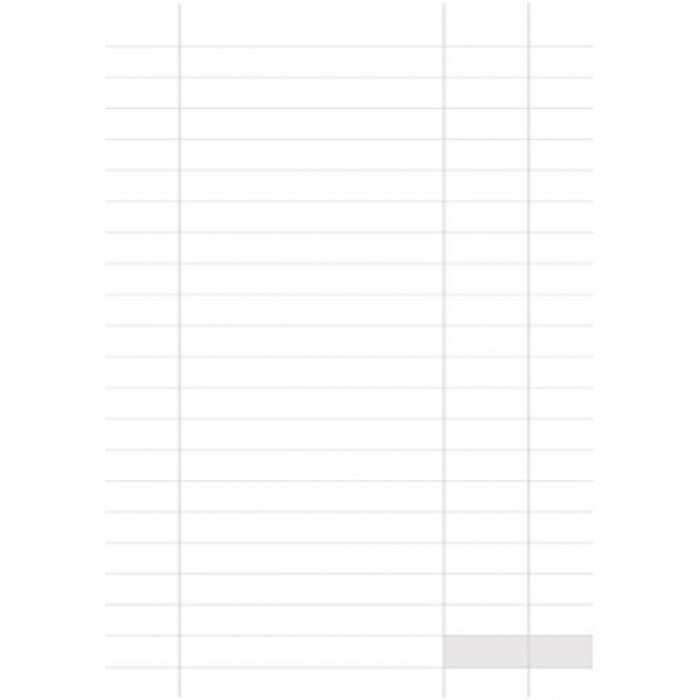 Featuring a strong elastic close to keep internal pages secure. Also featuring a ribbon marker, pen holder and an expandable pocket inside the rear cover in order to keep receipts. Available in two colours - black or pink. 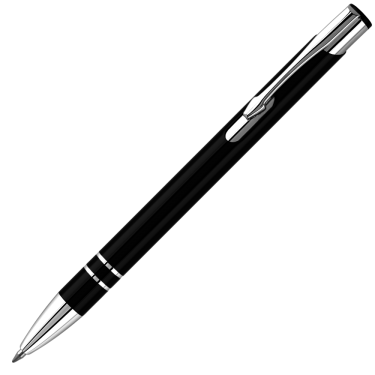 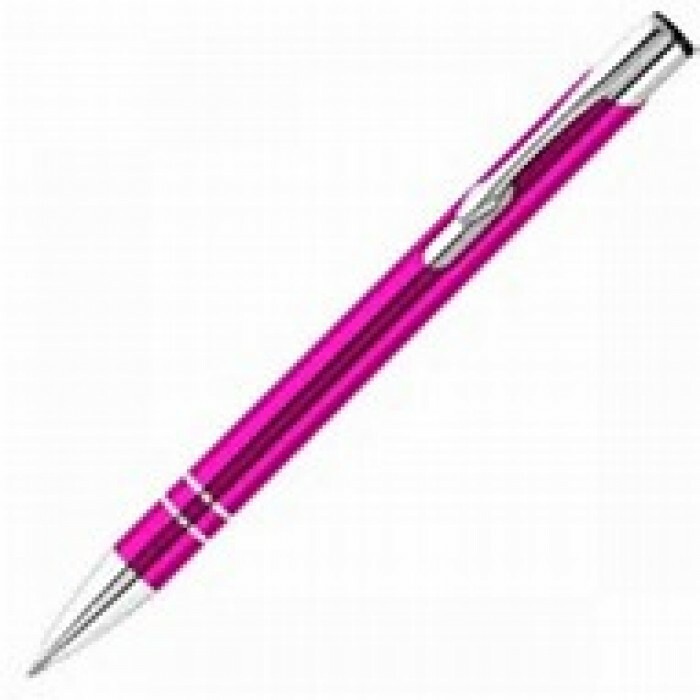 Includes a free, matchiing metallic barelled, retractable ballpoint pen. 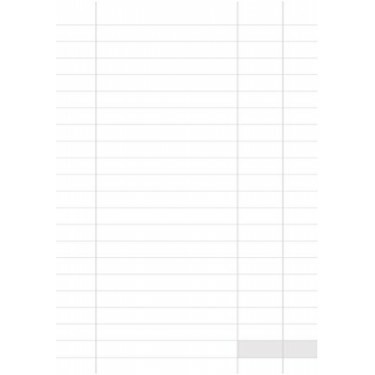 160 white pages.